The Aero L-39 Albatros is a high-performance jet trainer aircraft developed in Czechoslovakia to meet requirements for a "C-39" (C for cvičn� - trainer) during the 1960s to replace the L-29 Delfx�n. It was the first of the second-generation jet trainers, and the first turbofan-powered trainer produced, and was later updated as the L-59 Super Albatros and as the L-139 (prototype L-39 with engine Garrett TFE731). The design is still produced in an evolved state as the L-159 ALCA, while more than 2,800 L-39s still serve with over 30 air forces around the world. The Albatros - the most widely used jet trainer in the world - is versatile, seeing duty in light-attack missions as well as in basic and advanced pilot training. The L-39 (under the name Prototype X-02) first flew on 4 November 1969 and was piloted by Rudolf Duchoň, main factory's test pilot. Serial production began in 1971. The design is Czechoslovak (Czech) - the construction of Aero's chief designer Jan Vlček. The L-39 Albatros is a widely flown trainer/light attack aircraft similar in mission to the Italian MB339. Until now is in service with various former Soviet allies. The low, slightly swept wing has a double-taper planform, 2�-deg dihedral from the roots, a relatively low aspect ratio, and 26�-gal US (100-liter) fuel tanks permanently attached to the wingtips . The trailing edge has double-slotted trailing edge flaps inboard of mass-balanced ailerons; the flaps are separated from the ailerons by small wing fences. The tall, swept vertical tail has an inset rudder. Variable-incidence horizontal stabilizers with inset elevators are mounted at the base of the rudder and over the exhaust nozzle. Side-by-side airbrakes are located under the fuselage ahead of the wing's leading edge. 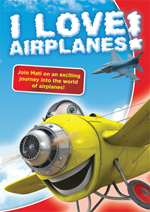 Flaps, landing gear, wheel brakes and air brakes are powered by a hydraulic system. Controls are pushrod-actuated and have electrically powered servo tabs on the ailerons and rudder. Operational g-force limits at 9,259 lb (4,200 kg) are +8/-4 g.
A single turbofan engine, an Ivchenko AI-25TL (made in Soviet Union) is embedded in the fuselage and is fed through shoulder-mounted, semi-circular air intakes (fitted with splitter plates) just behind the cockpit; the engine exhausts below the tailplane. Five rubber bag fuel tanks are located in the fuselage behind the cockpit. The main, trailing-arm landing gear legs retract inward into wing bays; the nose gear retracts forward. This model is no longer in production and is replaced by the L-159. While newer versions are now replacing older L-39s in service, thousands remain in active service as trainers, and many are finding new homes with private owners all over the world. This is particularly evident in the United States, where their $200,000-$300,000 price puts them in range of moderately wealthy pilots looking for a fast, agile personal jet. 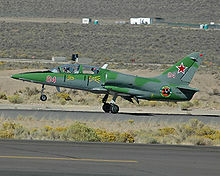 Their popularity led to a purely L-39 Jet class at the Reno Air Races (though it has since been expanded to include other, similar aircraft). As of mid-March 2006, there are 257 L-39s in the US Federal Aviation register. The first legally registered L-39 private aircraft was successfully flown on a cross country ferry flight in the US on December 9, 1992 with Pilot D. McCue and observer J. Yurick . Several display teams use the L-39 such as The Patriots Jet Team (4 L-39s) and the Breitling Jet Team (7 L-39s). There are also several L-39 available for private jet rides: In the United States: in Florida, New York and California, in Czech Republic, Germany, Switzerland and Russia. Those L-39 jets are partly in private hands. But they can also belong to training facilities of the Ministry of Defense, this is the case in Vyazma, Russia. 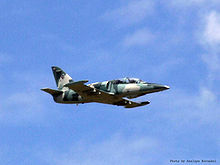 A L-39 was used in the James Bond film, Tomorrow Never Dies, where the James Bond character steals the aircraft. The 2005 film Lord of War features a scene in which a L-39 intercepts an An-12 cargo plane. It also features prominently in ArmA II Operation: Arrowhead as a fighter for the Takistani Airforce. Ukrainian upgraded C version with AI-25TLSh engines. The conversion is carried out by Odesaviaremservis and the first plane was ready in 2009. 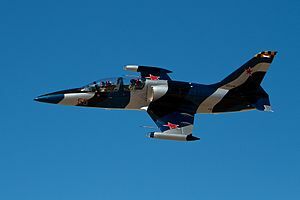 The upgrade of a further 7 L-39C's is planned. Significantly upgraded L-39ZO for armed training and light attack, employing sturdier landing gear, a higher payload (total 1,290 kg (2,844 lb)) and notably provision for a GSh-23L 23 millimeter twin barreled cannon attached in a conformal pod under the pilots' compartment, having a 150 round magazine within the airframe. Outer pylons wired to carry K-13 or R-60) air-to-air missiles. Two prototypes, with first flying on 29 September 1976. 208 aircraft delivered. The Aero L-39MS Super Albatros is a second generation military trainer aircraft developed from the firm's earlier L-39. Compared to its predecessor, it featured a strengthened fuselage, longer nose, a vastly updated cockpit, and a more powerful (21.6 kN (4,850 lbf)) Lotarev DV-2 engine, allowing operation at higher weights and speeds (max speed 872 km/h (542 mph)). First flight on 30 September 1986. It was later designated as the Aero L-59 . Further modernised advanced trainer/combat aircraft with more modern, western avionics and Honeywell F124 engine. 24 January 2001 Atlas Air Founder, Chairman and CEO Michael A. Chowdry was killed Jan. 24 when his Czech L-39 jet trainer crashed into an open field near Watkins, Colorado, USA. Also killed was Wall Street Journal aerospace reporter Jeff Cole. Chowdry and Cole were making a planned flight from Front Range Airport. 2 July 2003 Elmo Hahn, 54, a developer and well-known pilot in Muskegon, Michigan, USA died soon after a crash of his L-39. Hahn was returning to Muskegon after filming a segment about the L-39 Albatross for CNN. He was lifting off in his aircraft and ejected from the plane due to an engine failure caused by ingestion of objects from the aircraft's baggage compartment, which had not been latched. Hahn did not survive. 25 January 2006 Major Stephen Freeman USMC, Retired was killed when he steered the L-39MS (N104XX) he was prepossessing away from a populated area in Ketchikan, Alaska, USA. The weather was a factor in the crash. Five people on the ground were injured. 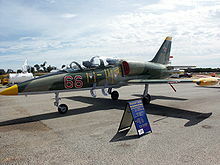 16 March 2007 An L-39 crashed at the Tico Warbird air show at Space Coast Regional Airport in Titusville, Florida, USA killing the pilot. The pilot was identified as attorney Eilon Krugman-Kadi, 58, of Gainesville, Florida, USA. a former Israeli fighter pilot. The L-39 had been built for the Soviet air force in 1980, and was demilitiarized in 1999 from Ukraine. 13 September 2007 Air race pilot Brad Morehouse of Afton, Wyoming, USA was killed when his L-39 crashed in a race at the Reno Air Races. According to newspaper reports, it appeared that pilot lost control when the plane was caught in wake turbulence generated by other racers. 21 March 2010 An L-39 crashed in Cumana, Venezuela, killing the pilot (Walter Oravsky Brand, 72) and 6 people on the ground, 3 more reported wounded. It was caused by an engine failure. The pilot, reported the ATC his intentions to perform engine emergency procedures, a few minutes later the plane crashed. Lake, Jon (2000). "Aero L-39 Albatros Family: Variant Briefing". 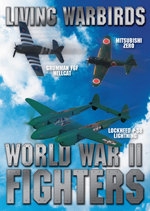 World Air Power Journal (London: Aerospace Publishing) 43: 116-131. ISBN 1-86184-055-1. Taylor, John W.R. Jane's All The World's Aircraft 1988-89. Coulsdon, UK:Jane's Defence Data, 1988. 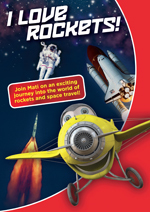 ISBN 0-7106-0867-5. Mladějovsk�, Josef (1988) (in Czech). 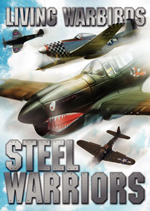 Nebe pro Albatros: kapitoly o inžen�ru Janu Vlčkovi, česk�m leteck�m konstrukt�ru (Sky for the Albatros: The Chapters About ing. Jan Vlček, Czech Aircraft Constructor). Praha: Na�e vojsko.